Born: Hubbard, Ohio, October 5, 1833. Four years later his family moved to Indiana. There at the age of 16, he started a business at Dupont, a hamlet in Jefferson County. In about 1855 he established himself in Bloomfield, Iowa. He was elected to the Iowa State Senate in 1858 and to the Democratic National Convention of 1860, which nominated Stephen A. Douglas for the Presidency. 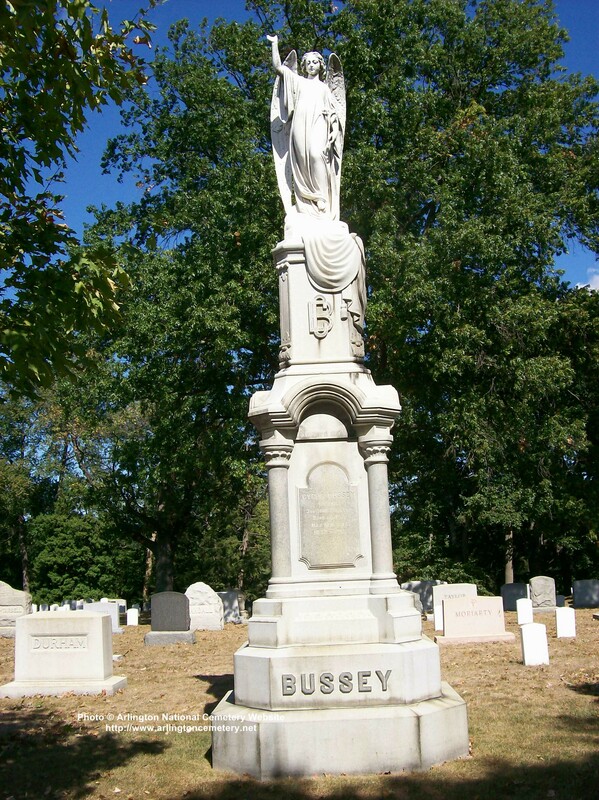 At the outbreak of the Civil War, Bussey was appointed by the Governor to command the militia in southeastern Iowa, with rank of Lieutenant Colonel and on August 10, 1861, he was mustered into Federal service as Colonel of the 3rd Iowa Cavalry. He commanded a small force in addition to his own regiment at Elkhorn Tavern (Pea Ridge) and was in command of a Brigade of Cavalry during Frederick Steele's successful expedition against Arkansas Post. After a few months in charge of the District of Eastern Arkansas, he commanded a Cavalry Division of the Army of the Tennessee during the campaign which resulted in the capitulation of Vicksburg. 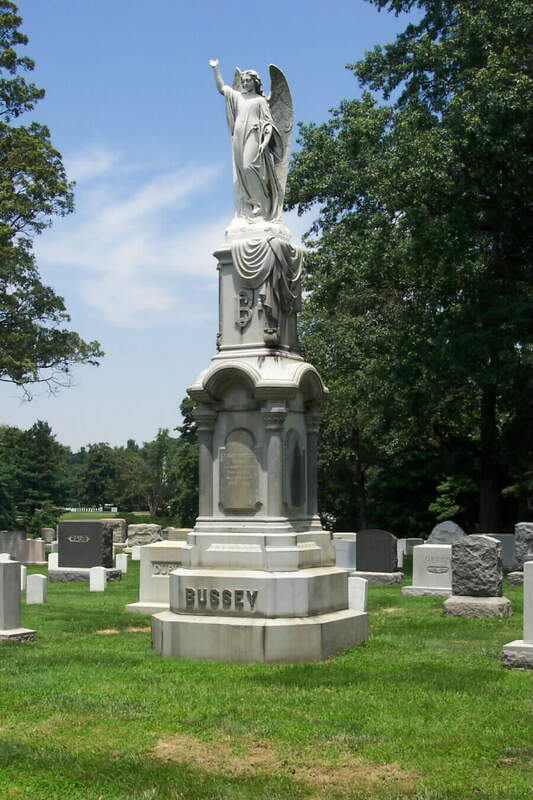 He was appointed Brigadier General of Volunteers on January 5, 1864. During the remainder of the war he was in Brigade and divisional command in western Arkansas, where he restored discipline and fought the corrupt practices of contractors and cotton speculators. He was breveted Major General to rank from March 13, 1865, and he retired to civilian pursuits as a merchant in St Louis and then New Orleans. 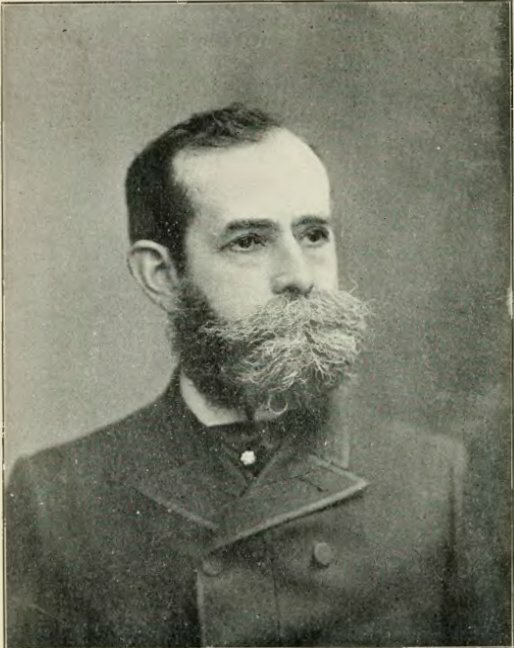 As Assistant Secretary of the Interior in 1889, in which capacity he liberally awarded pensions to "deserving" Union veterans. He later established a law office in Wash, DC, where he died March 2, 1915. He is buried in Section 3 of Arlington National Cemetery. 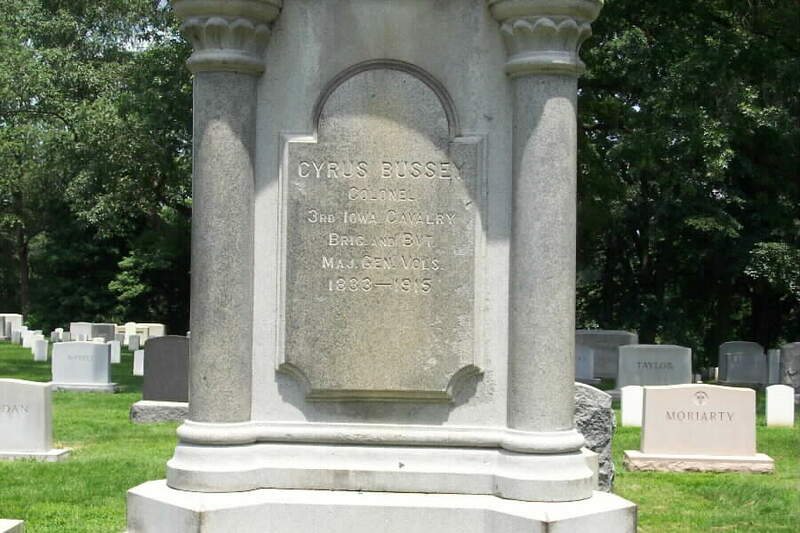 Major General Cyrus Bussey, formerly Assistant Secretary of the Interior, and a veteran of the Civil War, died on Tuesday at his home, 1204 N Street, Washington, in his eighty-third year. He was born in Ohio and removed to Iowa when a young man, later becoming a member of the State Senate. 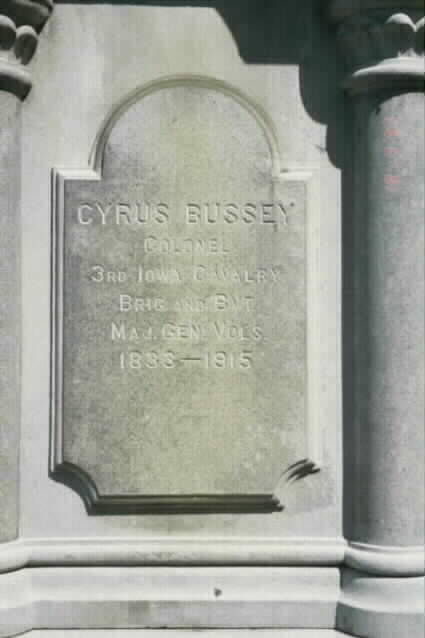 In 1861 he organized the Third Iowa Volunteer Cavalry, becoming its Colonel and later being promoted to Brigadier General and Brevet Major General. After the war he went to New Orleans and became a commission merchant and for six years was President of the New Orleans Chamber of Commerce. In 1881 he removed to Washington.